This tree has been a real crowd pleaser. Children love the bright colours and cute characters while adults appreciate the quirky glass decorations and vintage styling. This tree evolved slowly as the product arrived in store. I used a red velvet ribbon with a white fur trim and a white lattice work ribbon to create a spiral design across the front of the tree. This was punctuated with red, white and silver bows with baubles added to the centre of the ribbon. Several weeks later when more product became available I introduced red, silver and white baubles and snowflakes. They add another dimension to the tree by creating a spiky silhouette but can also be suspended around the tree. 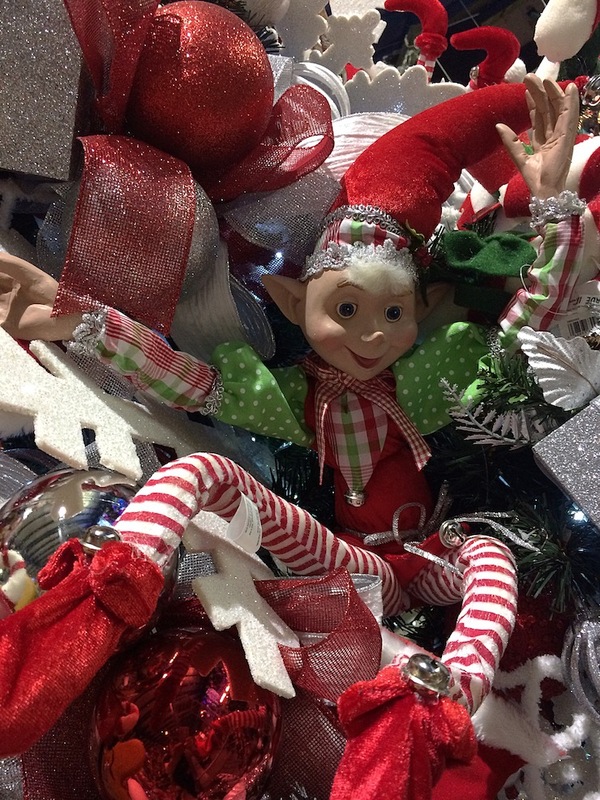 The finishing touches were the candy coloured elves and foam candy canes which are colourful and fun. We also had an amazing flocked spiral tree which provided the perfect showcase for our glass decorations (can’t wait to do more with this next year) and a larger than life gingerbread man and candy cane. 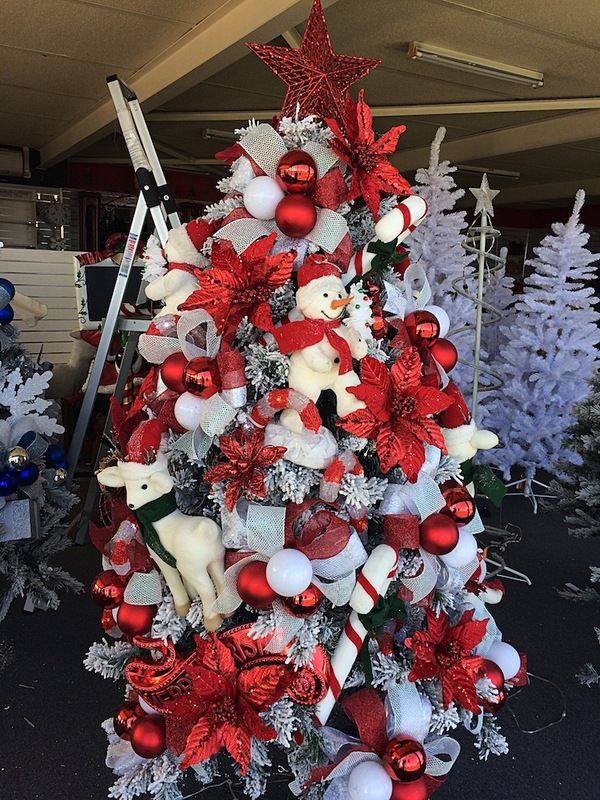 I also dressed a smaller tree in a similar theme at the Ferntree Gully store. This was one of my favourites, it’s so much easier to work on this scale (7ft) and by this stage all the new product had arrived in store. I also had time to add some illuminated candy canes which look great at night.